Looking for something to do over the holiday? Check out Sing Saturday! Illumination Entertainment and Universal Pictures are holding FREE screenings of Sing on Saturday, 11/26 at select theaters nationwide. Visit www.SingSaturday.com for a list of participating theaters! After Black Friday is over, check out Sing Saturday! Illumination Entertainment and Universal Pictures are holding FREE screenings of Sing on Saturday, 11/26 at select theaters nationwide. Visit www.SingSaturday.com for a list of participating theaters! 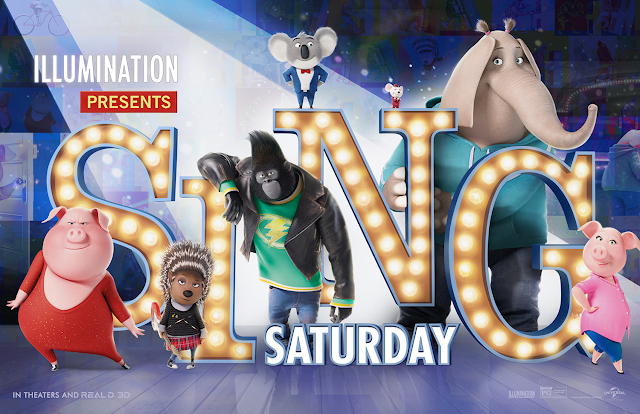 Tickets for “Sing Saturday” screenings are available on a first-come, first-served basis to the first 200 moviegoers in line at participating AMC Theatres on Saturday, November 26 (10 a.m.local time). Audiences are encouraged to bring their family and friends of all ages and experience the film Variety calls “a game changer.” Moviegoers must be in line to receive a ticket for the screening.